Today I have a treat for you. 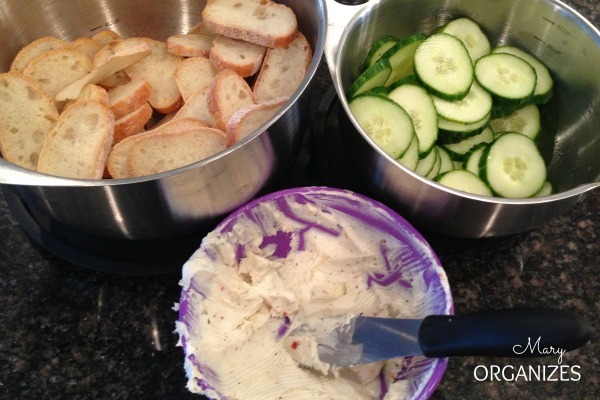 I’m going to share with you my secret weapon for party appetizers. This appetizer mixes up quickly and easily and goes like hot cakes, because they taste SO GOOD! It all starts with 5 easy to get your hands on ingredients. 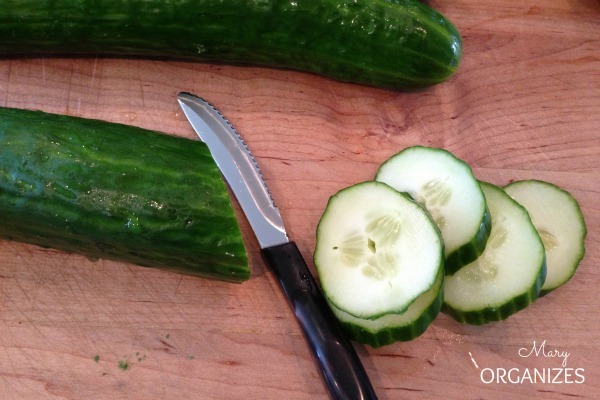 Cut up the cucumbers diagonally and set aside. No one will notice if you munch a few. 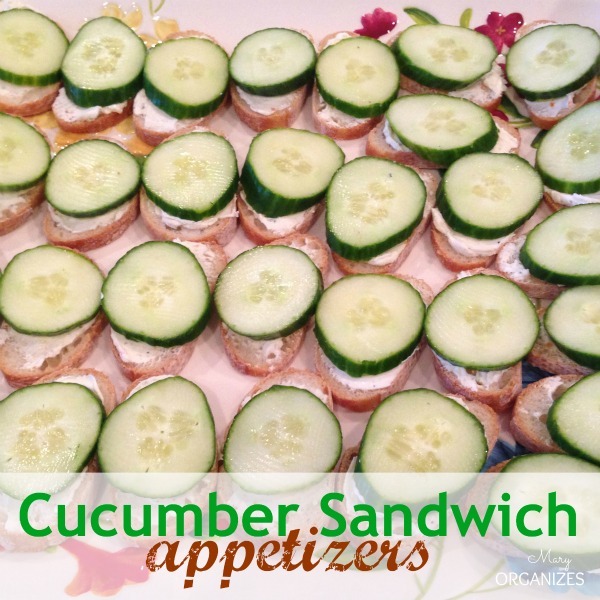 After I prep the bread, cucumber slices, and filling, I set aside until just before the party starts. These things taste best fresh! Last time I made these was for a girls night celebrating a friend moving away. We had an awesome spread, thanks to lots of help! I’m happy to say the cucumber sandwiches were a hit. They always are!! There you go. Put this recipe in your back pocket for your next party! Yum! These also have great flavor (and color) if you sprinkle them with a little dried dill! 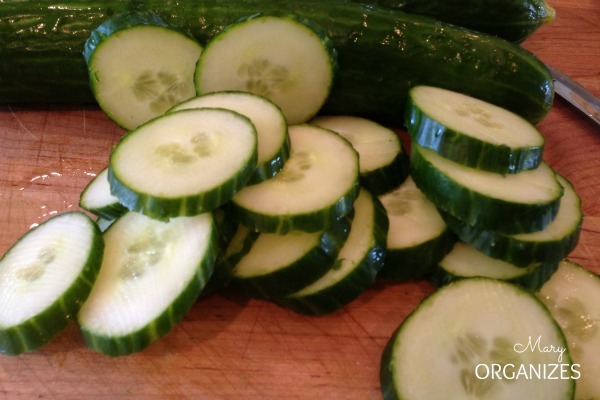 We’re been gobbling ours up straight out of the garden! I do something very similar but use the little rye cocktail bread loaf so they are all square uniform slices and sprinkle with dry dill on top. Have also used veggie flavored soft cream cheese. Always a hit! Mmmm! Your variations sound good too. So easy to get these right!